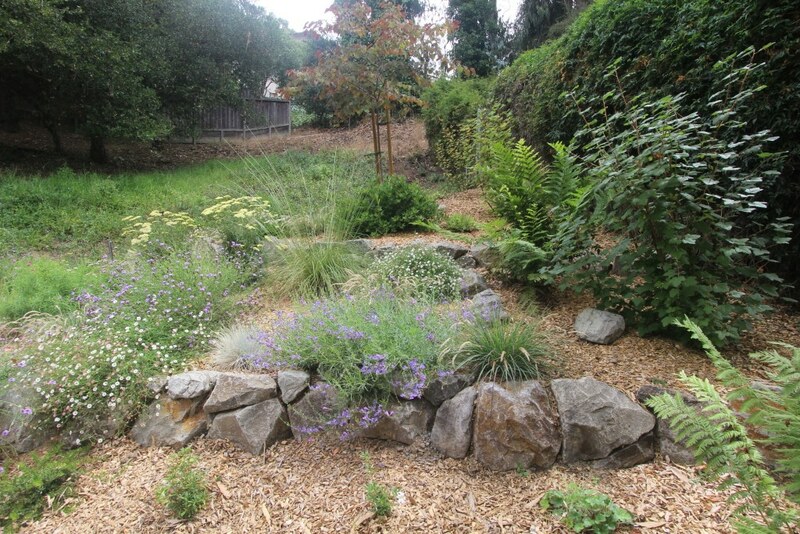 The garden in this Oakland hills home brings structure and beauty to what was formerly an unused hillside. 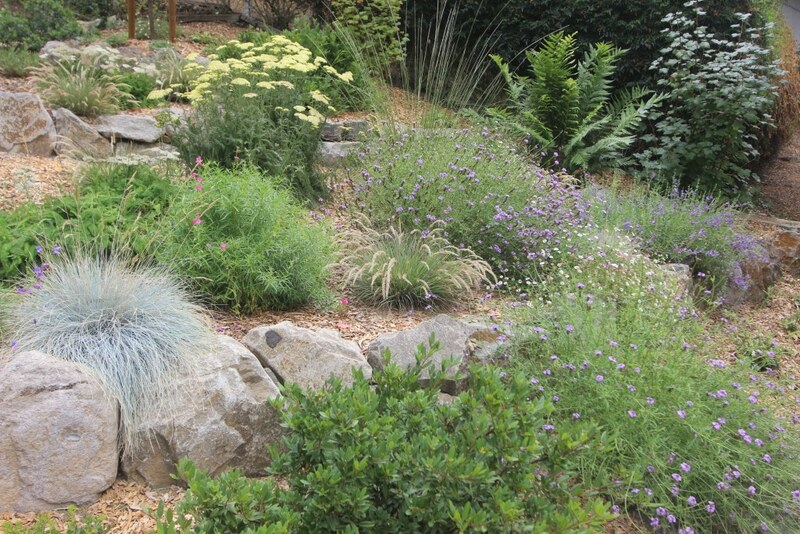 In addition, it creates a beautiful vista from the windows of the home that look down on the landscape. 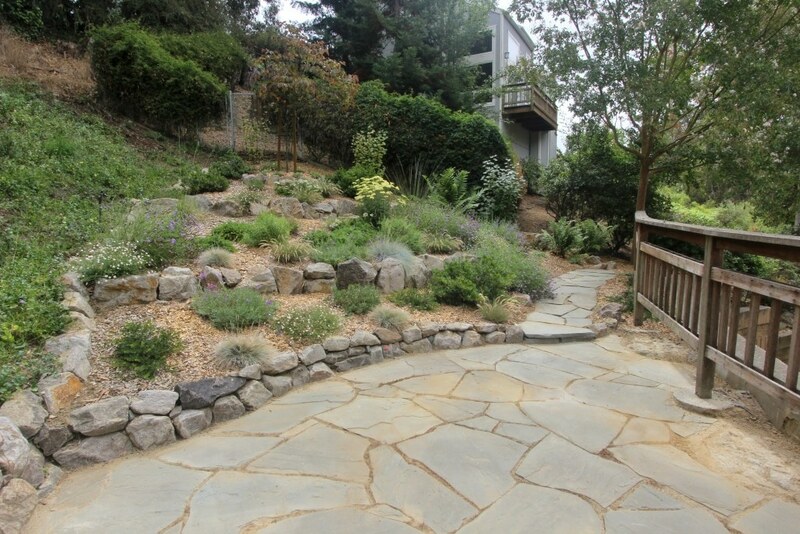 Beautiful stone terracing defines the space and promotes erosion control. 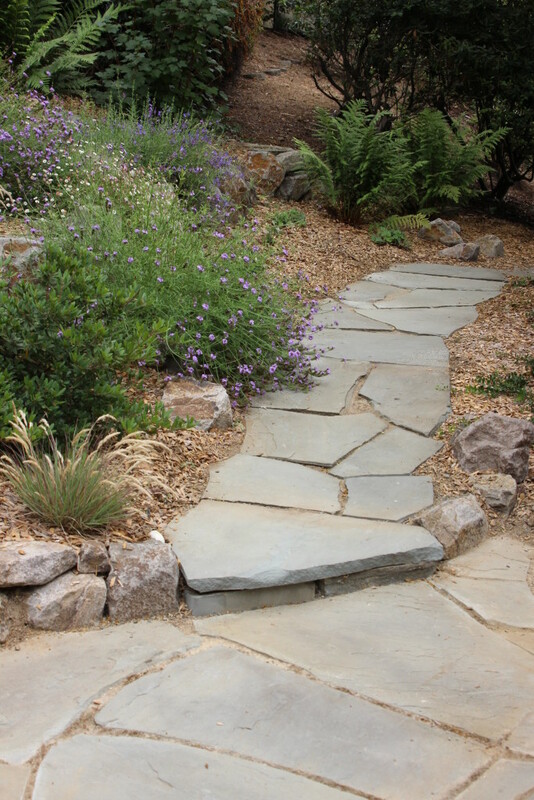 The flagstone patio offers a place to relax, and flagstone pathways lead visitors into the garden to experience it directly. 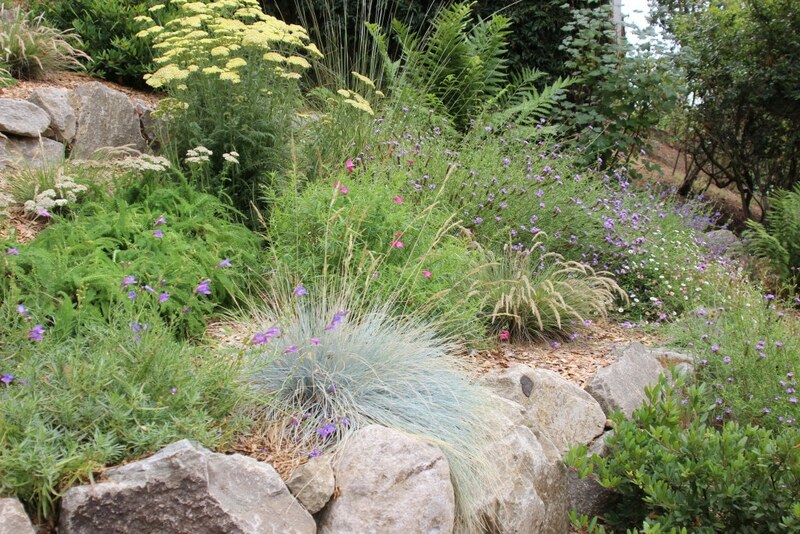 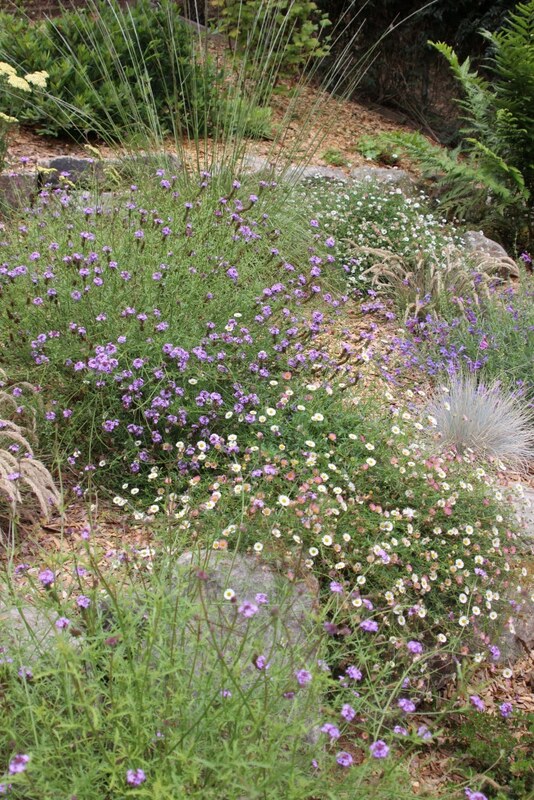 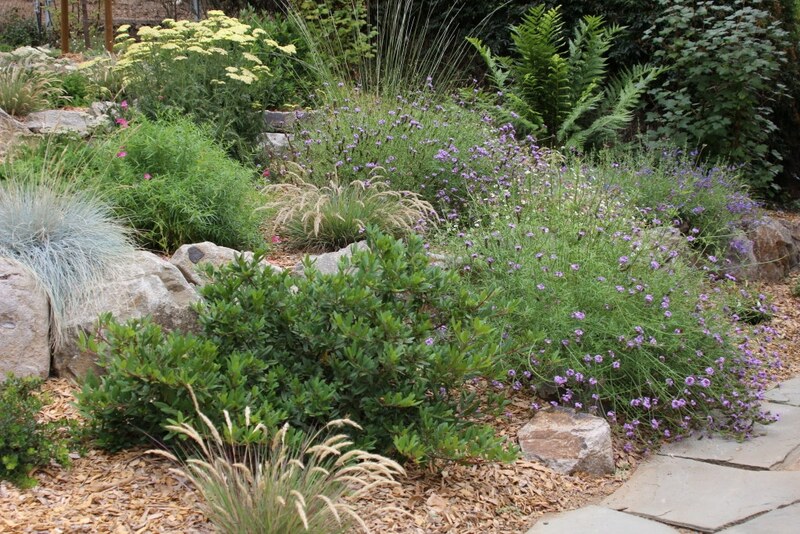 The planting design utilizes primarily California native species selected for their color, low-water use and deer resistance.